Here are some tips and a Q&A as you get your documents organized to file your tax return. Tax season has begun — the Internal Revenue Service officially began accepting individual returns Monday — so it’s time to get your documents organized if you haven’t already. While much attention has been paid to the federal tax overhaul, most provisions will not affect tax returns filed this year for 2017, said Lisa Greene-Lewis, a tax expert with TurboTax. 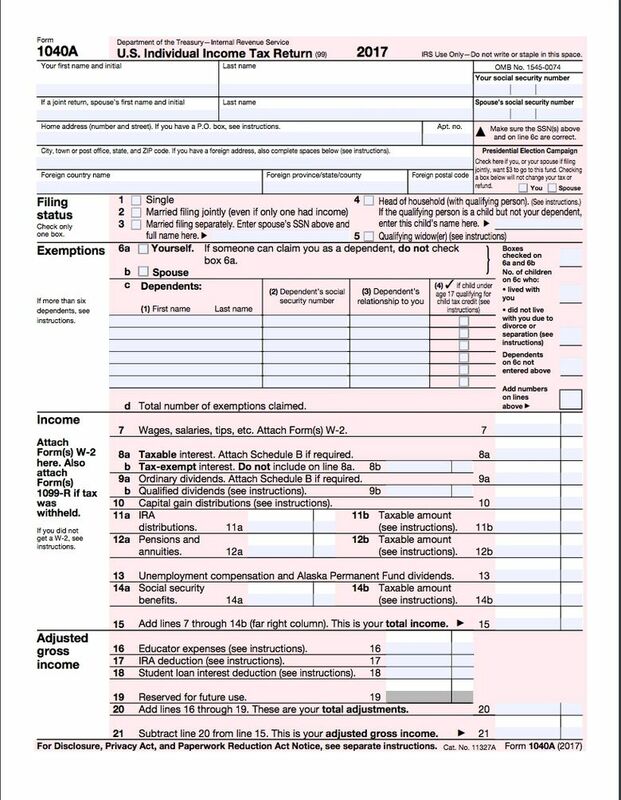 There is at least one change, though, that tax filers may want to consider as they fill out forms this year. “Folks should take a close look at their medical expenses,” said Melissa Labant, director of tax policy and advocacy with the Association of International Certified Professional Accountants. The tax law expanded the availability of the deduction for medical expenses not just for 2018 but also for 2017. The deduction previously applied to medical expenses over 10 percent of adjusted gross income, but the law lowered the bar to 7.5 percent for those two years. (So if your adjusted gross income is $40,000, you can write off medical expenses over $3,000, rather than over $4,000.) But there is a catch: You must itemize to take the deduction. After 2018, the bar is scheduled to move back up to 10 percent. The IRS says it expects to issue most refunds within three weeks for electronically filed returns (refunds for paper returns can take several weeks longer). Last year, the average refund was just under $3,000. But anti-fraud measures first put in place for last tax season will continue to affect the delivery of tax refunds for people who claim the earned-income tax credit or the additional child tax credit. By law, the IRS can’t issue refunds for such filers before mid-February. The agency said it expected filers who claim those credits to receive refunds no earlier than Feb. 27, if they choose direct deposit and there are no other problems with their returns. Many filers claiming those credits tend to file early because they depend on their tax refunds to pay off holiday credit-card debt or other bills. Nearly 70 percent of clients filing with tax preparer Jackson Hewitt Tax Service in January and February 2017 received at least one of those credits, according to the company. In large part because of those delays, some tax-preparation chains are offering no-fee, zero-interest advances of refunds. The advances — often issued on a debit card — are generally safer than the notorious refund anticipation loans that such services offered in the past, which were often larded with high interest charges and fees, said Chi Chi Wu, a lawyer with the National Consumer Law Center. But, she cautioned, tax filers typically must have their returns prepared by the company to get the no-fee advance, and tax-preparation fees vary widely. So it’s sometimes hard to know if the package is a good deal. “Tax- preparation fees are very opaque,” she said. Wu noted that there are free tax-preparation services available for eligible filers through the IRS’s Volunteer Income Tax Assistance program. At least one online service, offered by Credit Karma, promotes a no-fee online tax- preparation service as well as no-fee advances of up to $1,000. Q: When is the filing deadline this year? A: Taxpayers have an extra two days to file this year. The federal deadline is Tuesday, April 17. The usual deadline, April 15, falls on a Sunday, and April 16 is a holiday in Washington, D.C.
Q: Why does my Form W-2 have a special code on it? A: As part of an expanded test to reduce tax fraud and identity theft, the IRS has assigned 16-character codes to some W-2 forms to help verify income data on electronically filed tax returns. If you see a code on your W-2, you’ll be asked to include it on your return. (The code isn’t used for returns filed on paper, according to the IRS.) The codes will appear on roughly a quarter of all W-2 forms, the agency said. Q: How can I track my tax refund? A: The IRS recommends using its IRS2Go app for smartphones or its online refund tool to check the status of refunds. Filers claiming the earned-income credit or the additional child tax credit, however, won’t see updates for projected refund dates before Feb. 17, the agency has said.